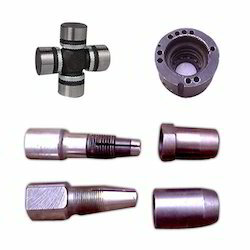 Prominent & Leading Manufacturer from Mumbai, we offer precision machined components. Offered by us is a wide range of Precision Machined Components, which is manufactured using premium quality raw material. These components are precisely designed by our diligent expert engineers. Apart from this, these components are manufactured in conformation with international standards of quality. Our range of components can also be customized with respect to size, shape as per client's specifications.